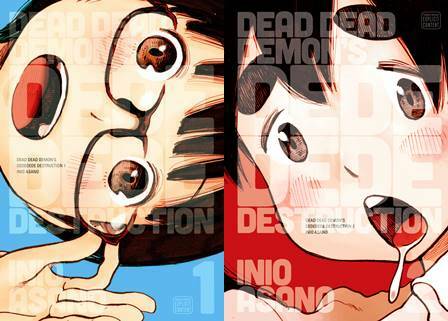 English translation of the Japanese manga Dead Dead Demon's Dededededestruction (デッドデッドデーモンズデデデデデストラクション). The Japan Self-Defense Forces are still looking for a way to combat the alien threat, but so far conventional weapons have had no effect. Maybe it's time to try something unconventional. Meanwhile, Kadode Koyama and her best friend avidly track the aliens' movements on social media and less enthusiastically study for college entrance exams. When the end of the world looms overhead, you learn to take things one step at a time.